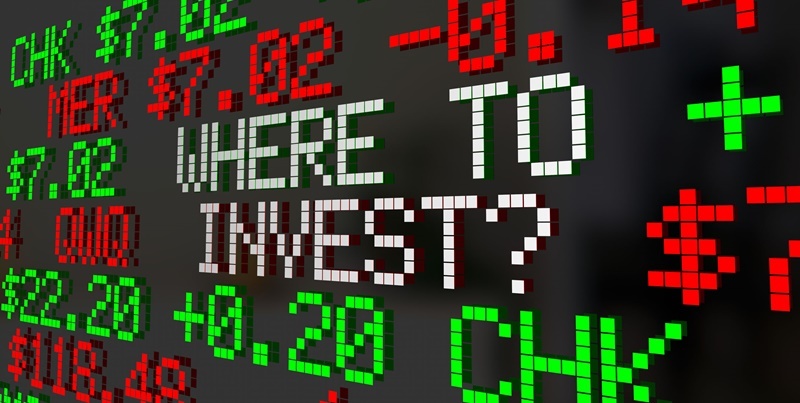 Getting started with stock market investing can seem intimidating for beginners — especially as you consider the benefits of and transition to controlling your own investments, rather than paying an advisor or buying a mutual fund or annuity. As a self-directed investor you’ve got the potential not only for greater profits (because everything you earn goes to you, not a paid advisor) but to have the satisfaction of controlling your own destiny. 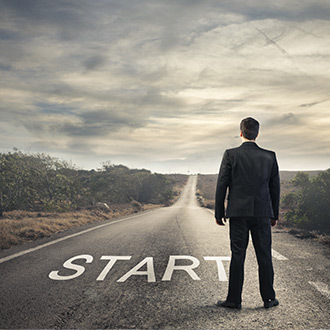 For almost any investor, from beginners to experienced traders, one of the first rules for any investment decision must be to determine whether it follows the basic principles of investing. Most people look to the stock market when they think about investing. But stocks, or equities, are more complicated than some other asset classes because price is affected by the “fundamentals” of the underlying company’s performance. Forex trading (which tracks the price of currency pairs, such as the U.S. Dollar and the Euro, relative to each other) and futures index trading (which follows the price of the S&P 500 or another broad market index) are simpler to follow because they track pure price action without the “noise” of company news or other external factors. Opening yourself up to the possibility of investing in these additional asset classes allows you to fully diversify your portfolio. What Are the Principles of Investing? Investing for beginners starts with an understanding that every price is determined by supply and demand. At Online Trading Academy, we identify points where supply and demand are out of balance, because that is when price is going to move. If there are more willing buyers than sellers the price will go up. If there are more willing sellers, the price goes down. It really is that simple and the same principle applies whether you are buying and selling stocks, bonds, real estate, options, currency pairs, commodities or another asset. Decide what you want to trade, your tolerance for risk, your profit goals, and how much time you can devote to following your investments every day or week or month. The idea of day trading is exciting, for example, but it’s impractical if you can’t actually spend hours at the computer every day. Be realistic about your own goals and limitations. It may take some time to figure out which asset class is the best fit for you but it’s important you take the time to create a detailed and tested plan before risking money in the markets. Your trading plan will also be affected by your investing goals. Do you want to invest for current income, long-term wealth or both? Your goals will determine how active you are in your investments and the degree of risk you decide to take on. It’s smart to be conservative with your long term planning because you want to have enough for a comfortable retirement even if the markets suffer a downturn like the 2008 recession. However, younger investors may take on more risk because they’ll have time to recover from any downturn. And, at any age, you may decide to carve out a smaller amount to invest in riskier assets even if the majority of your investments are conservative. Don’t forget about taxes, which you’ll pay sooner or later on almost all investments. If your money is in a 401(k) or other tax-deferred retirement plan, your money will be taxed as ordinary income when you withdraw it, regardless of how long you have held the underlying asset. This is different from investing in taxable accounts, where you’ll pay less tax if you sell an asset you’ve held a year or longer. In a way, retirement investors have a simplified planning process because everything — short term and long term holdings as well as dividends and other income from the underlying asset — is taxed the same. Even better is a Roth IRA, which invests with after-tax money but then can earn tax-free income going forward. Consulting a tax professional is advisable and can save you money in the long run. Risk management is key when trading or investing. It’s foolish to think you can win every trade, but the good news is you don’t have to. We advise traders to insist on at least a 5:1 reward/risk ratio on every potential trade. That way, you don’t have to hit a home run every time to be profitable in the markets. You can even lose on more trades than you win and still come out ahead. As mentioned above, price action is determined by supply and demand. So for traders, it is important to understand the dynamics of supply and demand and what that looks like on a price chart. If there are more willing buyers than willing sellers, price will rise until the buyers and sellers are in equilibrium and then it will pause or go down again. Education and experience will help you see this activity on a price chart, and predict future direction with a high degree of accuracy. A pre-set stop (or stop loss) is a critical risk management tool that every trader, not just beginners, should use. When it comes to improving your performance in the markets, a pre-set stop is a simple mechanism that can make a big difference. Setting a stop directs your broker to sell an asset if you guess wrong and the market moves against you, preventing large losses. Stops are key to losing small and are an essential strategy in successful investing for beginners. There’s much more to learn but these simple principles will get you off to a better start than many experienced investors and traders had. Many beginners start by investing in mutual funds, but is that a good idea? A mutual fund holds baskets of assets that reflect the investing philosophy of the fund. There are funds for practically every category, from sector-specific stocks to municipal bonds. Buying these would seem to be an easy way for a beginner to invest because an “expert” is doing it for you. But consider that you’ll be paying management fees and perhaps loads or sales charges to invest in these funds, thus reducing your potential profits. Mutual funds held in taxable accounts may create capital gains surprises when the fund manager sells underlying assets or a stock in the fund pays dividends — causing a tax hit even though you didn’t sell the fund. And, if you need to liquidate a mutual fund quickly, perhaps because of a dramatic market move or news, you can’t. Unlike stocks and other assets, mutual funds are priced only at the end of each trading day and you won’t know what you made or lost until after the fact. Are Annuities a Good Investment Option for Beginners? Annuities pay a defined or variable return on a regular basis in return for a capital investment up front. In effect, they’re like having a life insurance policy where you don’t have to die to benefit. But not so fast. The company selling the annuity wants to make money, just like you do. So, you’ll be paying fees behind the scenes. The calculation of your payout will take into account the interest rate when you buy the annuity (and right now interest rates are near historic lows). If rates should go up, you may be kicking yourself because you could have bought a bigger annuity (measured by the regular payout) for the same amount of capital. For these reasons, among others, even beginning investors may want to look beyond mutual funds and annuities. Stocks, futures, Forex and other liquid investments allow you to educate yourself on the markets and then make an informed decision rather than leaving the driving to someone else. Remember, it’s your money and nobody cares about it more than you do. Before we cover the top investing rules for beginners, here's a short video that will introduce you to the two sides of a stock's return and how they move the market. On the Online Trading Academy website you’ll find many articles and tools about investments and investing for beginners. Read and use them to learn about the markets for these various assets. It’s a good idea to practice before you actually invest your own money. Learn the basics of reading charts and other indicators, then pick an index or asset class or even an individual stock and follow it for a few hours, days or weeks. See if you’ve guessed right about where it is going to go or if not, why not.